What one kingdom characteristic separates animals from plants? Body symmetry - the way body parts are arranged around a point or central axis. Directions on the body - used to describe areas on the body of an animal. Pattern of body development - a sequence of developmental steps. Formation of germ layers - layers of specialized cells in the early development. 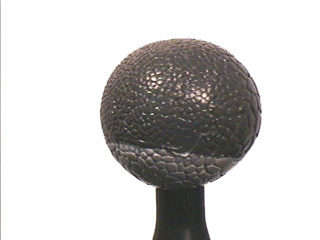 sphere-shaped, the body can be divided into two identical parts by any plane passing through the center. the body can be divided into two identical halves by any plane that passes through the longitudinal axis. the body can be divided into two identical halves by only one specific plane passing through the longitudinal axis. the body has no definite shape and cannot be divided into two identical halves. Cephalization: the concentration of sensory and brain structures in the anterior end of the animal. Nervous tissue, composed of nerve cells called neurons, is found only in animals. Along with muscle tissue, nervous tissue allows animals to to sense and respond their enviromnet. By concentrating these sense receptors at the "head" of an animal, the animal is able to respond to its environment more quickly. Sexual Reproduction: involves the joining of sperm and egg cells. Pattern of body development: all animals develop in some modification of this sequence. Zygote - the fertilized egg. Embryo - As the fertilized egg begins to divide, the cells in the resulting mass are identical. At some point (about 32 cells), this packed mass of cells quickly spreads into a hollow sphere of cells. This point is called blastulation and is the beginning of cell divergence. 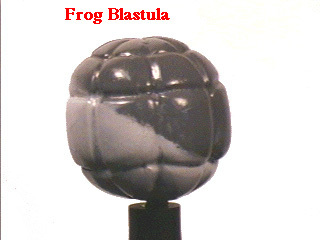 Blastula a hollow sphere of cells. Blastopore - the point where folding begins. Gastrula as the blastula enlarges, it cups inward on one side. 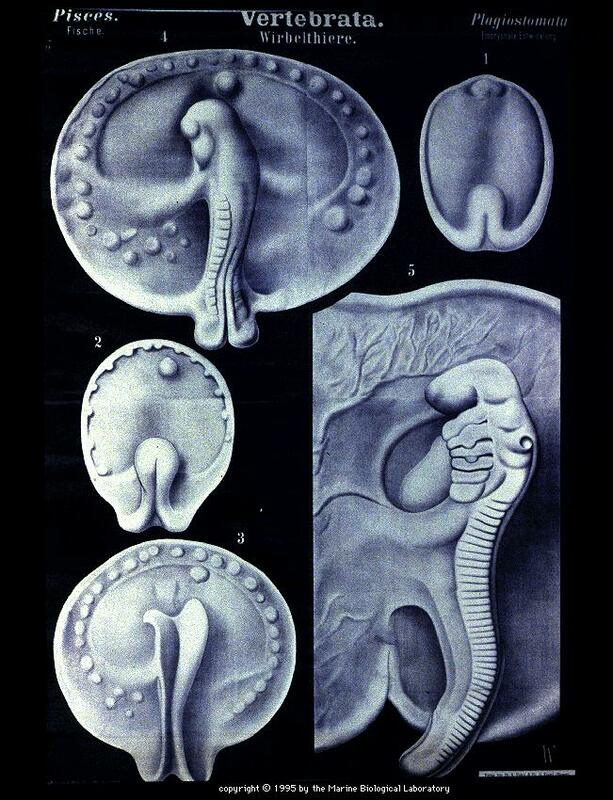 All vertebrate embryos look much alike. Fetus - the embryo developed to the point that it begins to resemble the mature organism. Specialization of body tissues is common in animals. 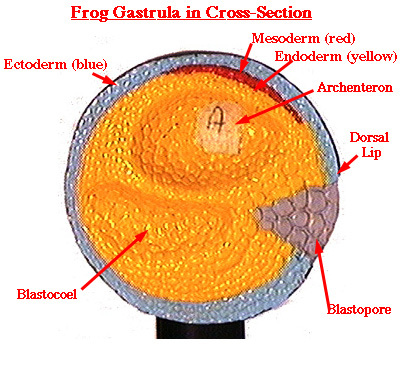 During gastrulation, two or three "germ layers" form. These layers of cells become specific structures and organs in the animal. that become the body covering. the muscles and interior organs. that become the lining of the gut. The development of an organism involves an increase in mass and structure. Both these changes come from an increase in cell number (due to mitosis), enlargement of cells and specialization of cells. All division starts from a single, fertilized egg cell, the zygote. 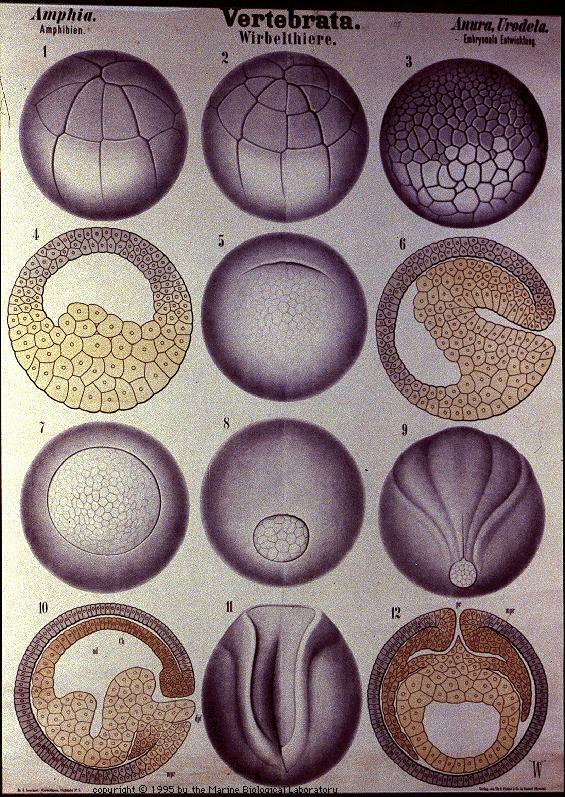 The following models show the early development of frog cells. This sequence is similar in all vertebrates. Click on the thumbnail to enlarge the picture. Cell division (mitosis) begins as the egg divides (cleaves) to form two cells. 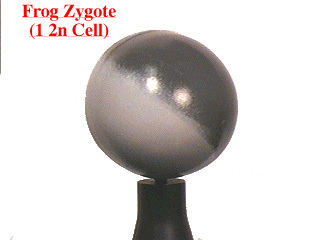 This first division or cleavage marks the initiation of development and the zygote is now known as an embryo. 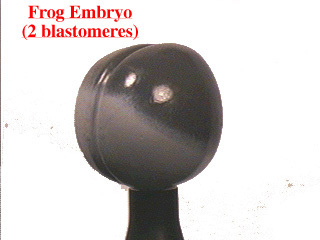 Cells produced by cleavage are known as blastomeres. The first cleavage is in the vertical plane, resulting in two blastomeres. The second cleavage, resulting in four blastomeres, is also in the vertical plane. 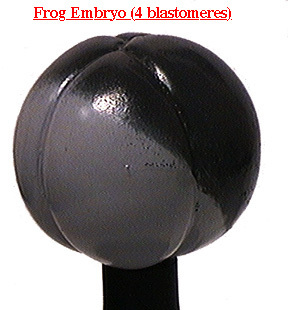 The third cleavage, resulting in eight blastomeres, is horizontal and slightly above the equator of the embryo. 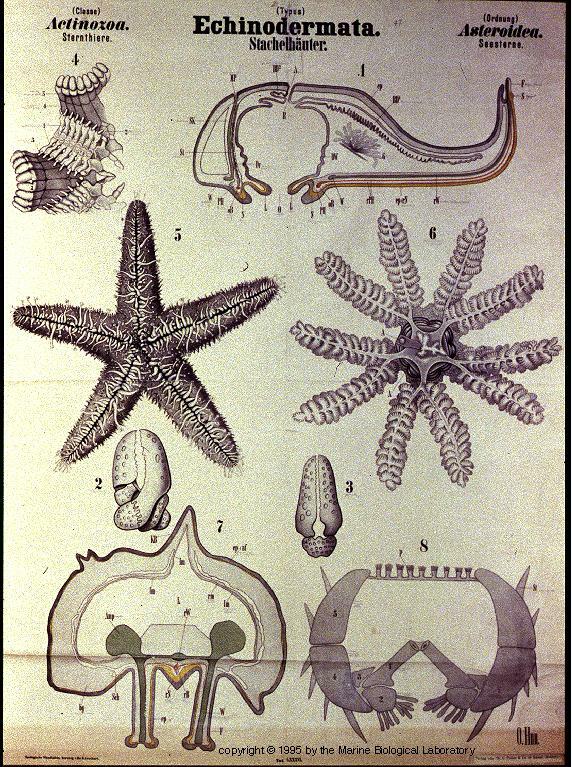 The four upper and smaller blastomeres are known as micromeres and the bottom four as macromeres. The micromeres become the ectoderm (outer layer of body cells) and the macromeres are yolk cells. Cleavage continues until the embryo becomes a spherical hollow blastula of many cells. A cavity usually develops within the blastula and is known as the blastocoel. 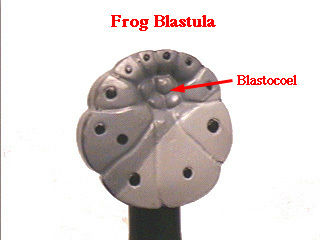 The early blastula. The early blastula in cross section. Gradually the micromeres overgrow the yolk and form a dorsal lip over the yolk. The tissue tucks in below the lip and an opening develops that is known as a blastopore. 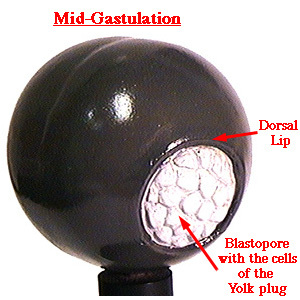 This process is known as gastrulation. It is similar to pushing your finger into an inflated balloon. The internal cavity ultimately becomes the gut of the animal. Stages in the formation of the blastopore. 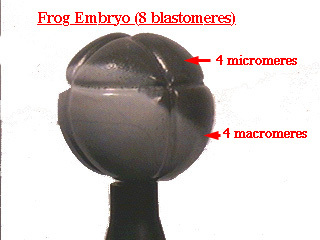 The frog embryo now has two germ layers, the ectoderm and the endoderm. The internal walls are endodermal cells. Gradually the blastocoel shrinks with the expansion of the gut. Later in gastrulation irregular cells bud off from the advancing tip of the gut and give rise to the mesoderm or third germ layer. In the gastrula, embryo with three cell layers, the anterior portion of the gut gives rise to a body cavity known as a coelom. Right click on this (Animalia Kingdom) and "save target as" to you desktop. After video has downloaded watch video and complete short quiz at the end. Write your answer here. What are the characteristics of the cells found in all members of the Kingdom Animalia? When studying animals what are the basic body Characteristics that are important? Do any members of the animal kingdom have spherical symmetry? How are an embryo and a fetus different? What is blastulation? When does it happen? What does it look like? Which of the three germ layers forms the heart and lungs of humans? Draw a quadruped and label the four directions on its body. What are some of the duties animal caretakers perform? What working conditions can an animal caretaker expect? What is the Median annual earnings of veterinarians? All members of the plant kingdom are autotrophic while all animals are heterotrophic.